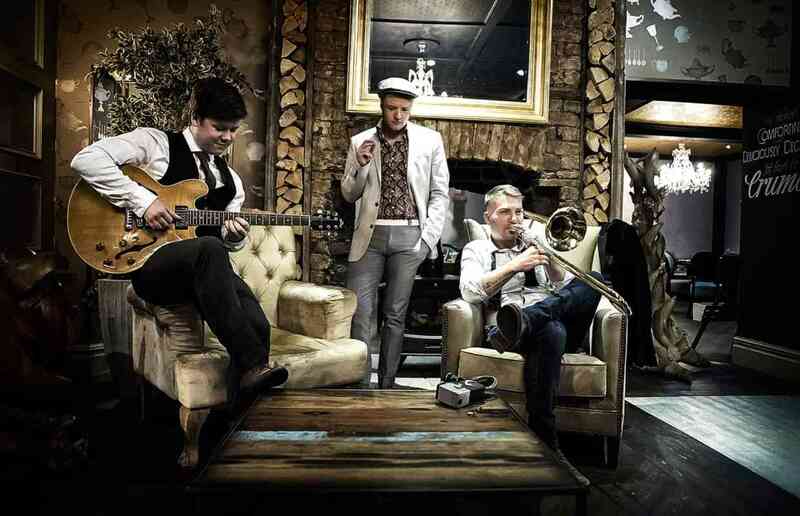 Hire a 1920s band to play authentic Charleston music, Dixieland jazz or Harlem swing. Perfect for speakeasy or Gatsby-themed events! Recreate the razzle dazzle of the jazz age with a Great Gatsby-style 1920s band in top hats and tails – cheerful and quirky! Or top off your prohibition-themed party with a speakeasy-style band paying homage to the era of the Cotton Club and rent parties! From gypsy jazz in the style of Django Reinhardt to quirky Charlestons, these acts are perfect for setting a classy, relaxed mood. We also have traditional Dixieland jazz bands for hire, ideal for garden parties in the summer. Smartly dressed to give an authentic feel, their foxtrots and shuffles will transport you back to the toe-tapping 20s. Often small and compact line-ups, our 20s Dixieland bands are perfect for outdoor performances and squeezing onto smaller stages. Whether you’re cruising down the river or putting on the ritz, make sure you have one of our amazing acts as your main event! Unique and talented musicians & entertainers to recreate the authentic musical ambience of the 1920s & 30s, when The "Charleston" was all the rage, and the swells were "Putting on the Ritz". Dazzling vocalist with a variety of shows spanning from 1910's through to the 60s! Wartime inspired shows to rock n roll favourites, The Gatsby Girl has something to offer for all events. 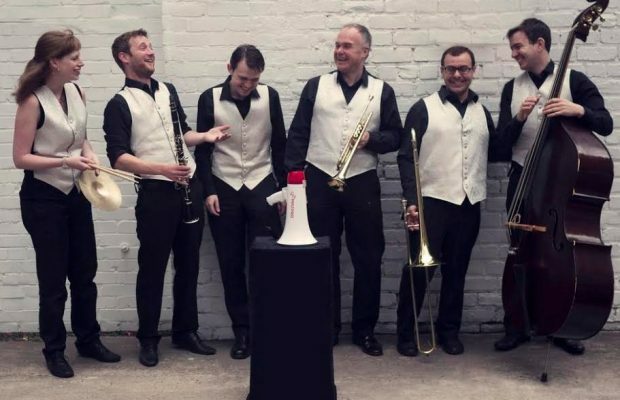 The Slick City Jazz Stompers play trad jazz in the traditional New Orleans style – perfect for background music to help create a fun, informal and relaxed atmosphere at summer events.